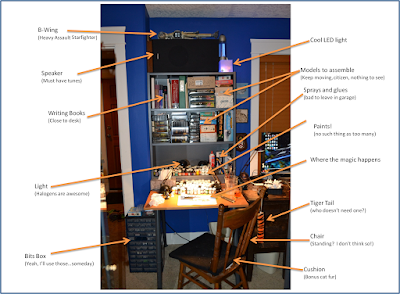 For those who paint models, be they cars, tanks, airplanes, wargaming minis or fantasy/sci-fi RPG models, I thought I'd share my creative space. More often than not, one's painting table fades into the background of WIP photos, heaps of unassembled models and other accumulations that are normal in any gaming space. First, a macro view of the whole area. Seriously, who doesn't need a heavy assault starfighter? Once I can wrest my chair away from the housebeast occupying it (a rare empty shot here), the real painting begins. That's about it. Simple, but always ready, even if I only lay down some paint for a few minutes. Now I just have to sit down and get at it. One thing I don't do is any assembly of miniatures here. 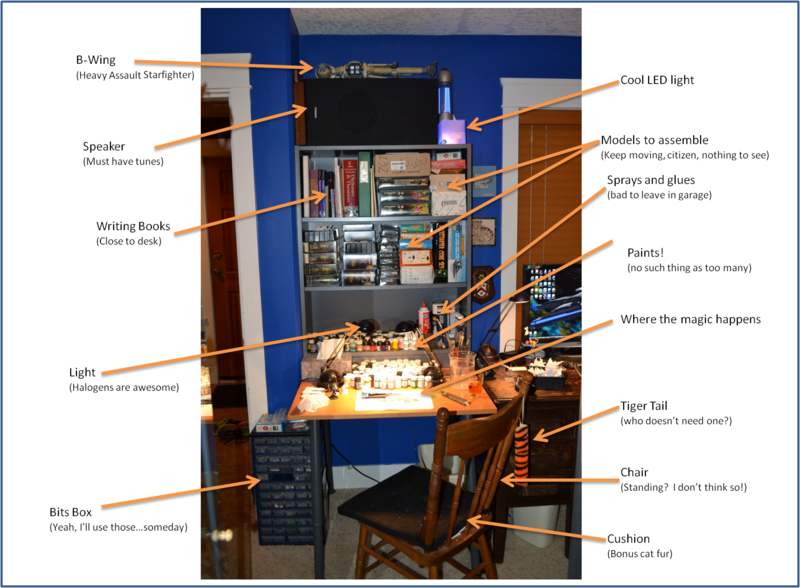 Because of the dust and debris that can generate, I have a work area in the garage (usually the gaming table) or just use the dining room table (when the fireplace is on) to do assembly. That ensures the dust or other crap never contaminates the paint. About the only thing I need to clean up is cat fur, which is ever-present. Looks pretty good and organized. I do the same with my paints and canvasses, I need more space for them. It is nice to have everything ready at hand, like you said, you can then paint anytime even for a few minutes. I sometimes find tho once I start I forget about other things. I have lots of time being retired. Can't wait to see all your figures and set up. It works for me. 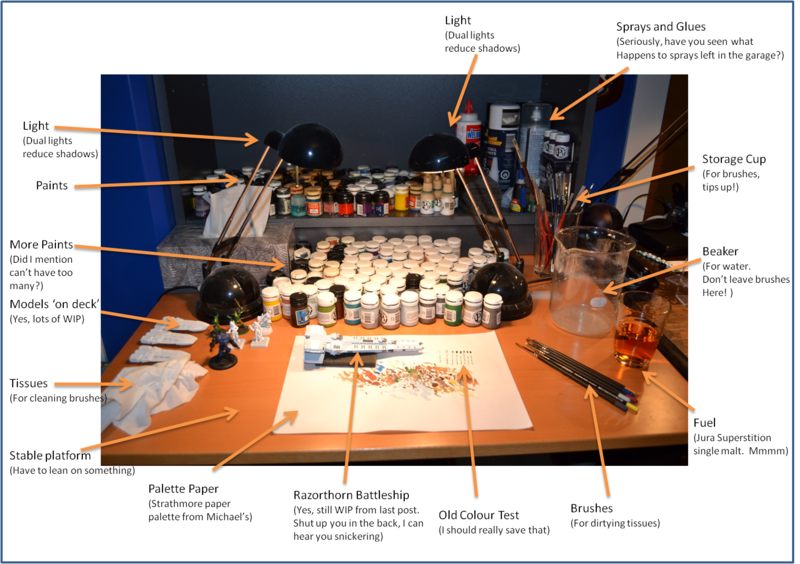 I do need to build a half height shelf to stack more paints, rather than have them encroach upon the work surface. I've already drawn up the plan, just need to get some materiel.